This place was meant for me. The instant I walked into Eventide Oyster Co. in Portland, ME, the restaurant exuded freshness, uniqueness, and good fish. The bright aqua walls with ample bar space initially drew me in, but then the enormous array of oysters sitting on ice at the bar convinced me to try this new restaurant. 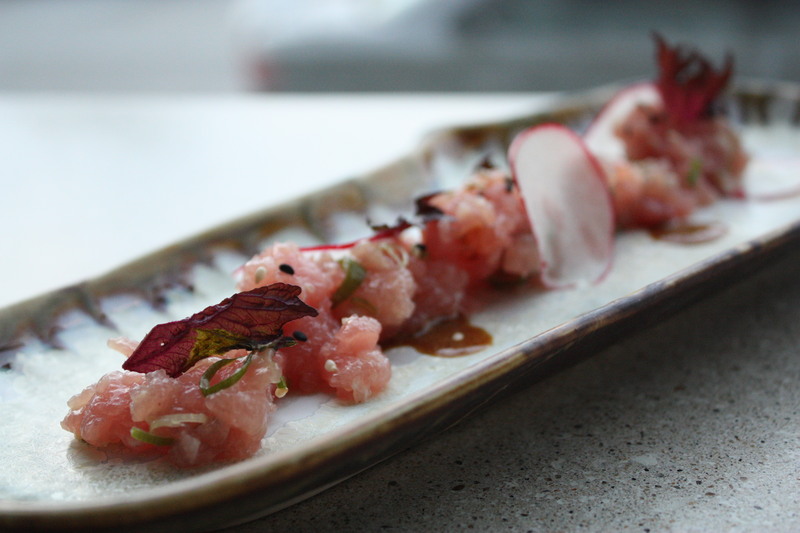 Instead of tasting the oysters, which I’m sure were fabulous, we chose to try small plates. The first plate was a Lobster Roll. But not any old lobster roll. No, this came on a steamed bun and with your choice of Hollandaise, house mayo or a brown butter vinaigrette. A lobster roll, in my mind, is not a lobster roll without mayonnaise. Since our waitress said the house mayo was very good and light, mayo was the obvious choice. My only complaint? I wish this were four times the size, it was so delectable. 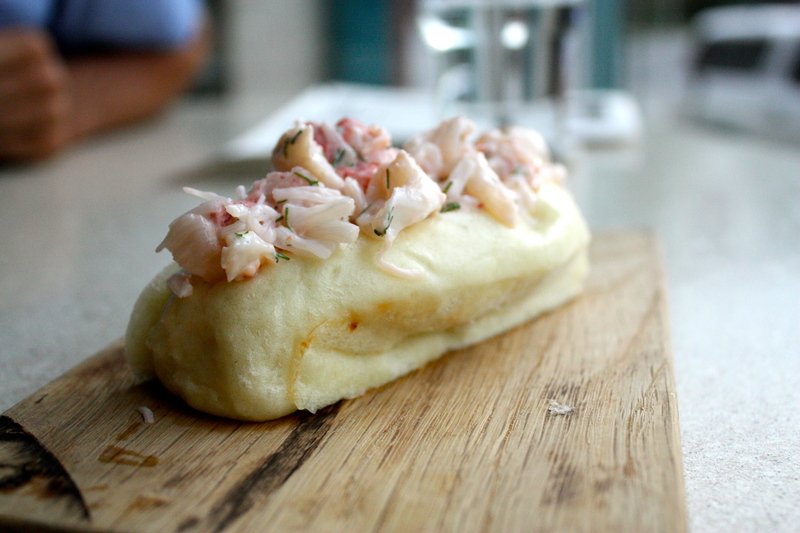 The warm bun with the fresh lobster meat made this the best lobster roll I’ve ever tasted. 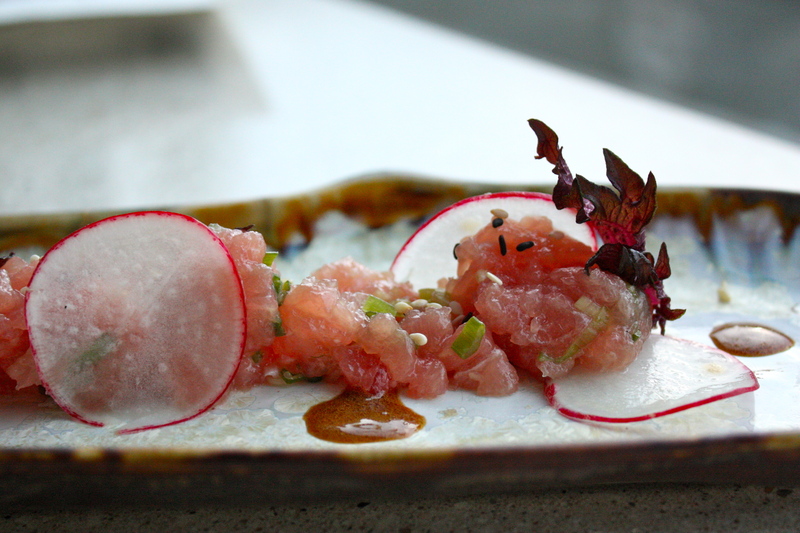 Next up was Rare Yellowfin with soy, scallions, and radishes. While this dish wasn’t as outstanding as the lobster roll that we had just consumed, the fish had incredibly clean flavors. However, the Asian flavors were perhaps too startling, sandwiched between dishes with more subtle tastes. That being said, this was still an excellent dish. 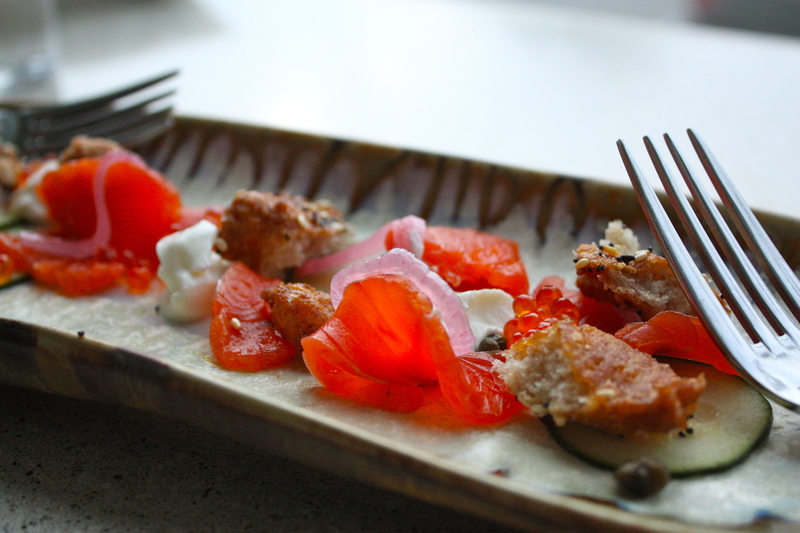 Lastly, we enjoyed Artic Char with fried bagel bites and crème fraiche. 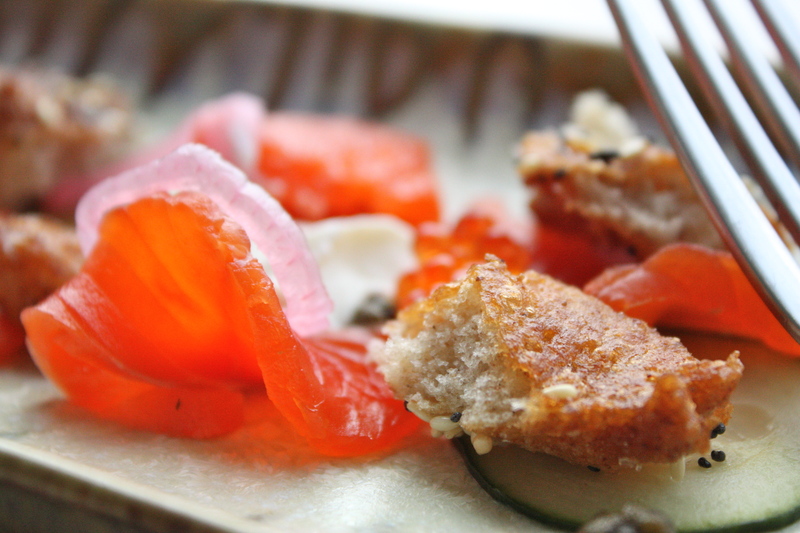 This blows any traditional bagels and lox out of the water. The crunch of the bagel combined with the smoothy cream and of course the delicious fish made my head-spin. If you visit Eventide Oyster Co, this heavenly and different (a word used in the most positive way possible) dish is well-worth your money. The drink menu and draught beers were something I unfortunately missed out on since we had to drive later that night. It should be noted that on our two hour drive home, despite a day full of eating, my boyfriend pulled over to purchase a Big Mac.